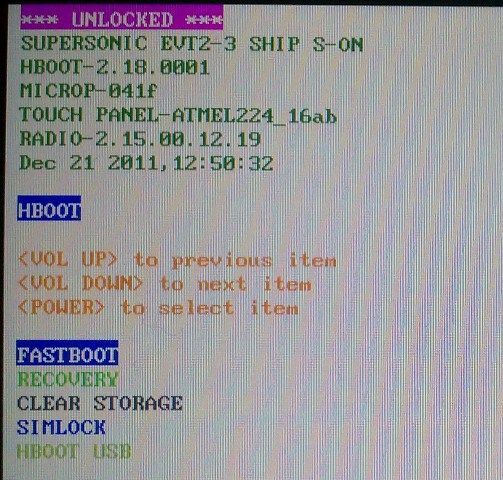 Root Is there a step by step method to root EVO 4g 2.3.5 that would work for a rookie? Discussion in 'Android Devices' started by Tina Kiz, Apr 26, 2012. I have been researching this site and many others and each question leads to more questions. Many confusing things like partitioning my SD card and watermarking that are a bit intimidating to someone who hasn't done them before. I used to think I was pretty tech savvy. Until now. Anyone willing to hold my hand and walk me thru some of the steps till I find my way? I looked at rooting my phone for close to a year before I decided to do it this past weekend. I used the rooting for dummies guide and it was easy for me. The only small issue was my fault. Part of the guide has you creating a folder on you computer for the work files you'll use during rooting. I had placed a file in a sub-folder under that file by mistake. Don't forget to check your Hboot version so that you will use the correct dummies guide. There are many places that tell you how but not all tell you to be sure your fastboot is turned off so the power button+down volume process will work. I think if you take you time it will go well. It went so well I regret waiting so long now. dustwun77, Granite1, frenchy714 and 1 other person like this. Tina Kiz, Granite1, ocnbrze and 1 other person like this. not a problem here on AF. just ask away and we can make sure to point you to the right direction. the link frenchy provided will help get you started. also here is another guide to help answer things like partitioning the sd card:http://androidforums.com/evo-4g-all...ooting-dummies-guide-gingerbread-edition.html. just skip the rooting part unless you have the bootloader version that applies. but there is a ton of great info in the after rooting section. and again please feel free to ask any questions you have. Tina Kiz and Granite1 like this. It has been intimidating to say the least. You are both very helpful. I think I was at that before, but some of the terminology stumped me so I came here. I want to educate myself a bit more first. I have taken to making up a rooting glossary, because once I know what the lingo means it turns out that I actually knew more than I thought. Once it is complete, I think I will post it for other newbies like me The latest term is "watermarking". Do I understand correctly, is this a file that is left on a phone after it is rooted that cannot be removed? And do some ROMs have it and other not? I am due to upgrade in one month, but love my evo. I pay to keep it under warrantee, so I don't want to brick it and void the warrantee. I have a friend that Roots and unRoots his phone regularly for this purpose. Is this possible to do without voiding the warrantee (since no one would know without a watermark)? Please educate me. dustwun77, Granite1, ocnbrze and 1 other person like this. I do believe we have a terminology guide, but it probably hasn't been updated with the newer lingo in a while. HTC places the watermark on your bootloader once you root using the HTCDEV root method from the newest OTA (hboot 2.18)that instantly voids any warranty. Due to our great devs the watermark can be removed though. at the top of the bootloader is the watermark. markt23, Rxpert83, dustwun77 and 1 other person like this. Tina, I'm in the exact same boat as you and hesitating to take the root plunge. Have you attempted it yet? I'm curious to see how it goes and which method you followed. 2. Login and then from the main page select the "unlock bootloader" option and click on the "get started" button. 3. Scroll down through the list and select the "all other supported models" option. DO NOT select the HTC Evo 4G+ for Korea Telecom. 4. Follow the step-by-step instructions that HTC has printed on the web site. NOTE: Unlocking your bootloader will reset your phone back to factory defaults so be sure to backup whatever you need to your SD card and/or your computer first. The process will NOT wipe the contents of the SD card. S-OFF just means that you have access to more things (such as flashing radios). Also, it means that the /system mount point can be changed to read/write mode while running. With S-ON you cannot do this, so if you want to overwrite or delete any files you have to do it all via recovery. Sometimes things are much simpler and quicker to do with adb, but you'll need S-OFF in order to run the "adb remount" command and obtain read/write privileges. It's up to you though. As Captain Throwback says in the guide, "If you don't know WHY you want to be S-OFF, then you probably don't need to be." markt23, argedion, ocnbrze and 1 other person like this. After Rooting You have a bit more homework to do. There are several Programs you will need to add to your arsenal. However first things first. Generally when Thinking about Rooting worry just about the Process of Rooting and not the After Life. The After Life of Rooting is what generally throws most noobs off. They try to incorporate all of if at once and there is no need to. Rooting consist of following the guide to the point where you have achieved the point of being able to Flash a custom recovery such as Amon RA. Achieving to this point is achieving root. Anything up to this point is extremely important to follow. After this point is pretty much optional. 1. Partitioning the SDCARD. - Unless specifically rooted for this feature this is something you can take time to learn and ask questions. You have plenty of time after root. 2. Flashing A ROM - Most ROMS are way better than Stock. However I think you need to have an Adjustment Period (A period to learn) What ROMS are out there and What your needs are. Also During this Adjustment Period is the time to learn how to use such tools as NANDROID BACKUPS (Recovery you Flashed), Titanium Backup (IMO NOT OPTIONAL) This is one of the most important tools you can learn to use, How to Navigate the system from an Explorer Like RootExplorer, And Over/Under Clocking. A bit more advanced stuff. 3. Themeing / Modding / Developing - A lot of users will never attempt this part here which is fine as long as they are happy with what they have. However if you have dreams or desires or just want to dig into the system you should wait until you have mastered some of the basics before going here. There are tools available to help you achieve the looks, feel, speed, and what ever else you desire. However trying to go from Just ROOTING to here is like trying to jump out the Crib and Drive to work. Tina Kiz, ocnbrze, tonion03 and 2 others like this. Oh and if you're looking for a ROM suggestion, I highly recommend MikG. The current version is 3.11. There are a few features in it (related to themes applied on the fly) that will not work unless you are S-OFF. But it is extremely fast and stable...my favorite ROM by far, and has a lot of the newer sense 3.0 features in it. Tina Kiz, frenchy714, ocnbrze and 1 other person like this. Thanks for the extra help guys. I'm at step 10 and it's been about 20 minutes and I haven't received the unlock_code.bin email from HTC. Is it possible my anit-virus stopped it somewhere in cyberspace? Forget it. I found the file. User error. No MARKT23, I have not. Still learning. Many instructions say you have to do a NANDROID backup and Partition the SD card BEFORE flashing a ROM. But you have to flash a ROM BEFORE you are able to do either of these steps. So here I sit. Can anyone please clear this up for a newbie? Help RxPert...I don't know what an OTA is! Looked everywhere. Can you please use English?? BTW found link to a glossary, but yes, there are critical terms missing...like OTA lol! I think I will create an EXHAUSTIVE glossary when I am done with this. Two questions...1) should I use an HTCDev Rom if a Custom ROM wouldn't watermark my phone? 2) My phone is ALREADY S-Off, and I swear I never flashed anything except some football players back in highschool. Thanks for the referral. I have looked at it. It has lots of customization which I like. Here is a related concern that i have about whatever ROM I chose...will I be able to locate and use some of the stock aps that I like, or will the ROM overwrite them? OH NICE looks like you are [artly rooted as you have s-off that was rooted using revolutionary. now the question is do you have a custom recovery? so go back to the bootloader menu amd select recovery. if you get a red triangle with an exclamation mark then that means you do not have custom recovery, but a stock recovery. all you will need to do now is install a custom recovery and then you can start flashing roms! just skip to the after root section and fins the switching recovery section to get the instructions on how to get a custom recovery onto your phone. OTA updates are over the air updates. Most custom ROMs disable the part of the phone that looks for these. If you are rooted you never want to accept one of these. At the very least you can lose your root privileges, but you can hose things much worse than that. Don't ever accept one. Looks like your phone was refurbished and someone before you rooted it. I'm surprised they sent it to you still unlocked. oh well, good for you! As previously stated, shut it down, hold volume down and press power. When the bootloader appears, select the recovery option and hit power. If you get a red exclamation point you can pull the battery. Otherwise it means that you already have a custom recovery! htcdev doesn't provide any custom ROMs, they only provide the means to unlock your bootloader. You will have to get custom ROMs elsewhere. Again, I highly recommend MikG. Depends on the ROM. Some leave them in, some remove them entirely. MikG removes a few of them like blockbuster, nova, amazon, and all of the Sprint apps (zone, NASCAR, football). Some other apps are set so that you can uninstall them if you don't want them. However, if you really want one of the removed apps, you can find it to install somewhere, or I'm sure someone can get it for you. Thanks Gamblor, if I could Thank you three times for this post I would for all the info you provided. Is there a custom recovery that you or anyone else here can recommend? And I am insatiably curious, so please just tell my why you like it because it will save me the time of asking YET ANOTHER question lol! BTW: Does the version of Gingerbread I am in determine what ROM version I should select? I am a bit confused as so many ROMS specify 2.3.3 or 2.3.5. Right now, I think I should stay away from ICS since it disables the front facing camera. I think I read somewhere that some ROMS enable GoogleTalk and even provide 4G LTE. Sprint doesn't have that where I live, but could a ROM actually have the ability to turn that feature on when my phone only has standard 4G capability? I recommend Amon RA because it's an all around stable and solid recovery. I haven't tried Amon Style Recovery but have heard great things about it. Amon Style Recovery also allows you to restore Clockworkmod and Amon RA nand-backups. Your original build (ie: 2.2, 2.3.3, etc.) does not determine which ROM's you can or cannot flash, that's the beauty of root; you can go back to Froyo if you choose! You can find the recoveries mentioned above along with ROM's here. Tina Kiz, ocnbrze and Rxpert83 like this.